Associate Professor Debra Adelaide is the author or editor of 15 books, including novels, nonfiction, and reference works. She joined the permanent Creative Writing staff of UTS in 2003 after many years as a freelance writer, researcher, editor, book reviewer, and as a casual teacher. Her first novel was The Hotel Albatross, published in 1995 and republished in 2009. Her other books include edited collections, such as A Bright and Fiery Troop (on Australian women writers, published by Penguin, 1988); the popular Motherlove series (published by Random House, 1996, 1997, 1998); and Acts of Dog (Random House, 2003). Her novel The Household Guide to Dying was published to critical acclaim in Australia in 2008 and was published in many other countries including the UK, the USA, Canada, Spain, France, Italy, Germany, the Netherlands, China and Brazil. Her collection of short fiction, Letter to George Clooney (Picador 2013) was long- and short-listed for several literary awards. A collection of essays she edited in collaboration with and for the Sydney Story Factory, The Simple Act of Reading (Vintage) was published in May 2015. Her most recent novel is The Women's Pages (Picador 2015) which has been widely praised, while her new collection of short fiction is Zebra (Picador 2019). 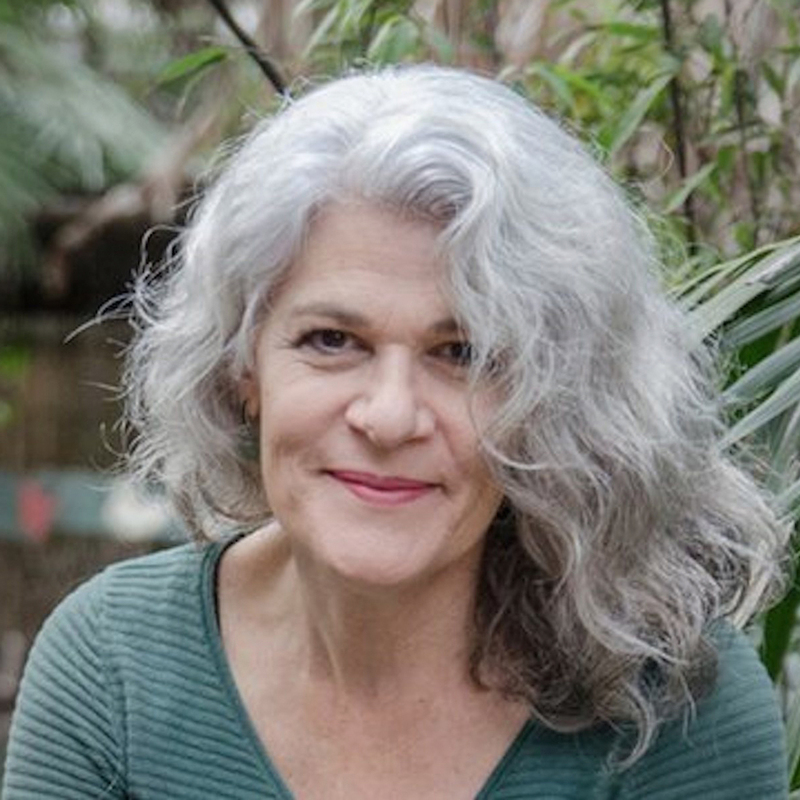 She has been a judge of a number of literary awards including the Vogel/Australian award for younger writers, the NSW Premier's Literary Awards, the Nita B. Kibble Awards for women writers, and the Patrick White Award. Her current projects include a new novel, and a collection of essays on reading and writing. Undergraduate creative reading; postgraduate novel writing workshop and coursework project supervisions; postgraduate research supervision in the Doctorate and Masters programs. Adelaide, D 2015, The Simple Act of Reading, Random House Australia. Adelaide, D 2009, Das Beste am Leben: Roman, Blanvalet. Adelaide, D & Dale, J 2008, Little Disturbances, Brandl & Schlesinger. Adelaide, D. 1998, Australian Women Writers: A Bibliographic Guide, Pandora, London. Adelaide, D 1998, Cutting the cord: stories of children, love and loss, Random House Australia. Adelaide, D 1997, Mother love 2: More stories about births, babies & beyond, Random House Australia. Adelaide, D 1996, Mother love: stories about births, babies & beyond, Random House Australia. Adelaide, D. 1991, Bibliography of Australian women's literature 1795-1990 : a listing of fiction, poetry, drama and non-fiction, D.W. Thorpe in association with National Centre for Australian Studies, Port Melbourne. Cusack, D & Adelaide, D 1991, A Window in the Dark, National Library Australia. Adelaide, D 1991, Bibliography of Australian Women's Literature, 1795-1990: A Listing of Fiction, Poetry, Drama, and Non-fiction Published in Monograph Form Arranged Alphabetically by Author, KG Saur Verlag Gmbh & Company. Adelaide, D 1988, A Bright and Fiery troop: Australian women writers of the nineteenth century, Penguin Books Australia. Adelaide, D & others 2015, 'Shimmering questions [Book Review]', Australian Book Review, pp. 58-58. Adelaide, D & others 2014, 'Selected shorts'. Adelaide, D 2012, 'Author Talk 1'. Adelaide, D 2012, 'A writer's creativity: Teaching creative writing', Metaphor, vol. 4, pp. 17-19. Adelaide, D. 2011, 'Writing Class: Sparingly, Cautiously, Ill-advisedly', Sydney Morning Herald, vol. 19-20 Feb.
Adelaide, D & others 2011, 'No one comes to see me now [Book Review]'. Adelaide, D. 2009, 'The Secret Space Between Pages', Notebook Magazine, vol. September, pp. 60-60. Adelaide, D. 2009, 'Creation of an Anthology', Sydney PEN Magazine, vol. November, pp. 10-11. Adelaide, D. 2009, 'The Household Guide to Everything', SL Magazine, vol. August, pp. 20-20. Adelaide, D. 2009, 'The Word on the Street', The (Sydney) Magazine, vol. May, pp. 50-51. Adelaide, D. 2008, 'The end of the line', The Gloss, vol. June, pp. 98-99. Adelaide, D. 2007, 'Portfolio of Book Reviews'. Adelaide, D. 2006, 'Theme and Syntax: a look at childhood', Australian Author, vol. 38, no. 2, pp. 10-13. Adelaide, D & others 2006, 'From Here to Enter Nity (Sic): Theme and syntax. [An essay on the formative role of books in the life of a young reader.]'. Adelaide, D 1997, 'Thea Astley - "completely neutered": Gender, reception and reputation', SOUTHERLY, vol. 57, no. 3, pp. 182-190. Adelaide, D & others 1997, 'Thea Astley'. Adelaide, D 1996, 'Brown skin baby + The fate of Aboriginal babies in Australia from the late 19th-century until the 1970s: An essay', SOUTHERLY, vol. 56, no. 4, pp. 7-18. Adelaide, D & others 1994, 'Reviewing the reviewers. [Authors' responses to book reviews]'. ADELAIDE, D 1988, 'LOUISA - MATTHEWS,B', SOUTHERLY, vol. 48, no. 2, pp. 229-231. ADELAIDE, D 1988, ''HOME IS THE SAILOR AND THE BEST OF INTENTIONS' - PHELAN,N', SOUTHERLY, vol. 48, no. 3, pp. 339-342. ADELAIDE, D 1988, 'THE 'ELECTROLUX MAN AND OTHER STORIES' - KROLL,J', SOUTHERLY, vol. 48, no. 3, pp. 339-342. ADELAIDE, D 1988, '200 AUSTRALIAN WOMEN - A REDRESS ANTHOLOGY - RADI,H', SOUTHERLY, vol. 48, no. 4, pp. 487-489. Adelaide, D & others 1988, 'Poetry and old age [Book Review]'. Adelaide, D & others 1988, 'Two hundred lives [Book Review]'. Adelaide, D & others 1988, 'My Louisa lawson and the life of Brian [Book Review]'. Adelaide, D 1981, 'How Did Authors Make a Living? ', A History of the Book in Australia 1891-1945. Adelaide, D, Ashton, P & Salt, A 2013, 'Introduction' in Adelaide, D, Ashton, P & Salt, A (eds), Stories from the Tower: UTS 1988-2013, Xoum, Sydney, pp. 17-26. Adelaide, D. 2011, 'The Sleepers in that Quiet Earth' in Cate Kennedy (ed), The Best Australian Stories 2011, Black Inc, Melbourne, pp. 82-94. Adelaide, D. 2006, 'Completely neutered: Gender Reception and Reputation' in Sheridan, S. & Genoni, P. (eds), Thea Astley's Fictional Worlds, Cambridge Scholar Press, Newcastle, UK, pp. 135-141. Adelaide, D 2015, 'Grief', Mothers and Others, Pan Macmillan, Sydney. Adelaide, D 2015, 'Welcome to Country', The Intervention, Concerned Australians, Sydney. Ellis, an ordinary suburban young woman of the 1960s, is troubled by secrets and gaps in her past that become more puzzling as her creator, Dove, writes her story fifty years later. Having read Wuthering Heights to her dying mother, Dove finds she cannot shake off the influence of that singular novel: it has infected her like a disease. Instead of returning to her normal life she follows the story it has inspired to discover more about Ellis, who has emerged from the pages of fiction herself - or has she? - to become a modern successful career woman. The research is in the field of creative writing. Ross Gibson has argued that urban places, seemingly innocent of narrative, offer hidden stories. Peter Doyle has examined police photographs of people to uncover stories about marginalised people. Peter Robb's work shows that the surroundings in which people live, although appearing ordinary, can have dark corners that affect their characters. The research question for this project is: what techniques best support storytelling in ordinary spaces? This work demonstrates that it is by discovering an unexpected representation of identity in the ordinary spaces that stories are set free. An enquiry into a cemetery detours into the silent spaces where people are buried but their monuments and headstones continue to supply story. An investigation into the processes of the Registry of Births, Deaths and Marriages reveals that official records are unexpectedly ambiguous, and consequently identity is uncertain. The household of a famous dead author proves to be an eerie shrine, his partner living an empty, lonely existence within it. The research is in the field of creative writing. Dennis Schofield has argued that the second person voice inscribes the reader as the author. Mary Karr has used the second person voice to blur the boundaries between fiction and memoir. Jay MacInerney's fragile second person voice character is disconnected from his environment but directly accessible to the reader. These stories address the research question: which is the most appropriate voice (first, second, third person) to employ in representations of characters whose lives are vastly different from those of the author and reader? Working on this project (including a number of drafts) demonstrated that the use of first person voice when presenting a character whose experiences are vastly different from those of the author and reader can sound implausible. The third person voice is too detached. The second person voice – used in the final versions of both these stories – can provoke empathy without risking tokenism. The reader cannot escape the imperative of 'you'. Master Shavers' appeared in the Penguin collection A Country Too Far. How to Mend a Broken Heart appeared in the Sydney Morning Herald Good Weekend. I was invited to present on the Master Shavers' collection at the Perth Writers' Festival and seven other public events. The SMH reviewer wrote of a 'palpable sense of the writer's higher duties to truth telling and bearing witness'. This enquiry begins, as it so often does, with a word. Precisely, three words. On a particular day the sign in the butcher shop was clear but baffling while the tray beneath was empty. My Vietnamese is non-existent, and the sales assistants English was not quite up to it, so I left the butcher shop still wondering what BELLY BIBLE HONEYCOMB could be. Offal, it was, almost certainly. The tray next to it held a pile of chicken hearts marvellous, perfect miniatures of the human organ while the one in front displayed a gleaming mass of calf liver, the blood congealing around it in purple ropes. Adelaide, D. 2012, 'Nourishment', Kill Your Darlings, Melbourne, pp. 87-99. A short fictional story exploring themes of illness, family dislocation, and estrangement, and corresponding themes of survival and nourishment, both emotional and physical, expressed in the situation of a mother and son occupied in making soup, prior to a visit to the child's father in hospital. Unstated in the story, yet an essential part of it, is the absence of an older child, a daughter with issues of body images that have created resistance to the mother's nourishment. The story's heart is ultimately expressed via allusion and even gaps. Adelaide, D. 2010, 'Writing in the [New] Millennium', New Australian Stories 2, Scribe, Melbourne, pp. 167-183. Adelaide, D. 2009, 'The Hotel Albatross', Picador, Sydney; Auckland. This is a major creative work, a novel of approximately 100,000 words. It was first published in Australia, the United Kingdom and New Zealand in May 2008, and has since been published in: Germany, France, the Netherlands, Italy, Spain (including a Catalonian language edition), Brazil, China, Israel, Canada and the USA; paperback editions, audio language editions and reprints have appeared in four of these countries and a film option has been sold. Critical acclaim for the novel in the form of reviews has appeared around the world; it has been endorsed by internationally best selling authors such as Cecilia Ahem and Wally Lamb; and in May 2009 the novel was longlisted for the prestigious Orange Prize for fiction. The Household Guide to Dyingis a contemporary story that examines the dilemma of premature death within a family, and uses a variety of narrative forms to deliver a tale that oscillates between humour and gravity. Letters, emails and extracts from other (fictional) works combine with a narrative of the immediate and distant past to give the reader a sense of the narrator's dislocation within a time of crisis. As a cultural artefact this novel is particularly important in three ways: it explores and challenges taboos regarding death and dying in contemporary culture; and it exploits the idea of the self-help industry in its satirising of the idea of a guide to dying, in which the ironic reference of the title becomes apparent. Finally, and perhaps most importantly, it dramatises, and re-interrogates, issues of maternal nurturing and domestic work, including the related anxieties and dilemmas, that feminist theory has been concerned with since the new wave of feminism in the post-1960s. This piece of creative non-fiction takes its title from the final sentence of Thea Astley's final novel, Drylands (1999). The essay was praised by poet and literary critic Dr Michael Brennan for its 'intelligence and openness, for its ability to see into the heart of what reading, of what literature, gives us, to express a kind of reading both ofliterature and life ... critical as much as it is creative' (Southerly 671-2 launch). It was described by an Australian Book Review reviewer, Ian Templeman, as a 'powerfully engaging stor[y]' (ABR November 2007: 58). The essay is best described as a hybrid of memoir and literary criticism that blurs the boundaries between the genres and raises questions about the nature of reading in context. How reading is shaped, reformed or even deformed by the position of the reader is a topic raised in Astley's final novel in her depiction of an illiterate man who is taught to read by his librarian/writer partner. My essay, 'no endings no endings no', examines the way books are read in a family experiencing crisis, of a medical and emotional nature, and forms conclusions regarding the nature of the act of reading itself. It comprises part of my broader research topic regarding reading and readership, including reader reception, in the contemporary zone. These three pieces are a sample of the kind of writing I have been contributing to the Australian and The Sydney Morning Herald over the course of my professional career. They are generally on literary topics, and they seek to address matters of concern to the wider literary community, and in particular the community of readers, which in this country is a lively and healthy one. The Australian is a national publication with a weekend circulation of 307,390 copies (Audit Bureau of Circulations, date reported 14 August 2009). It is the country's only quality broadsheet national newspaper. The Books and Literary pages of these publications form a vital part of Australia's cultural life; in these pages debates are followed, issues are raised, authors are examined, texts are explored and interrogated in numerous ways that engage the reading community and in an intellectual level that arguably transcends academic boundaries in fresh and accessible ways. In such a context these publications of mine play an important role, mediating and delivering literary matters to a broad-based, informed and curious community. Adelaide, D. 1998, 'Serpent dust', Vintage. Adelaide, D. 1995, 'The Hotel Albatross', Random House. Adelaide, D., 'Acts of Dog', Acts of Dog, Random House Australia, Sydney, Australia. Adelaide, D., 'A Driveway of One's Own', Car Lovers, ABC Books, Sydney. Adelaide, D., ''Desiring the Unknown'', Motherlove: stories of birth babies and beyond, Random House, Sydney; London. Adelaide, D., 'The Signs', The Big Issue, Big Issue in Australia Ltd, Sydney; Melbourne. Adelaide, D., 'The Ultimate Guide', New Books, Guy Pringle, London. Adelaide, D & others 2011, 'No one comes to see me now: Manoly Lascaris and Patrick White's ghost', Schwartz Publishing Pty. Ltd..
Adelaide, D 1991, 'Australian Women's Literature: A Bibliography to 1988'.